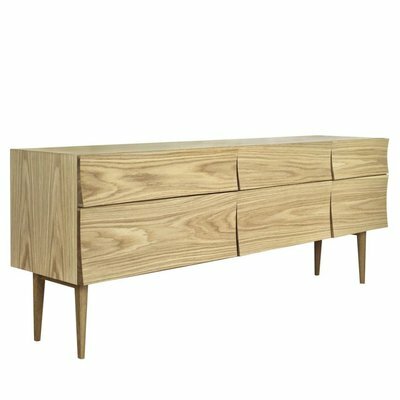 Reflect Muuto is a traditionally made oak sideboard which was inspired by Scandinavian natural light. The corners of each drawer or door each have a different thickness and reflect the light in a different way. Available in two sizes and two finishes, natural oak or black lacquer. See product sheet muuto reflect sideboard.